Good morning! 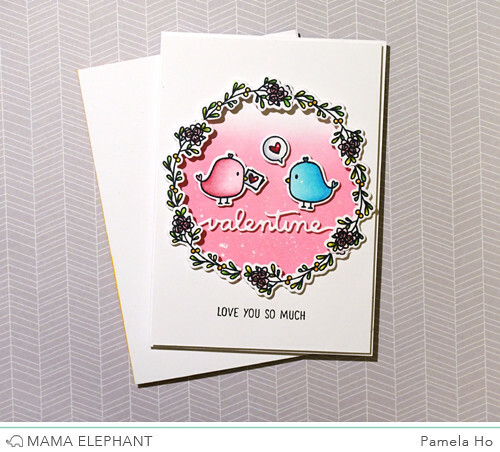 This is Pamela taking over Mama Elephant's blog today with a project showcasing Oh Happy Birds and Happy Valentine's Day Creative Cuts. 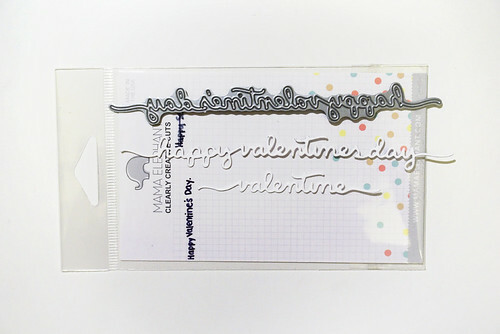 First, I did some surgery (ie: partial cutting) with the Happy Valentine's Day Creative Cuts. I wanted a shorter phrase to fit onto my small card, so I decided I wanted only the "valentine" portion. I did some partial cutting from the "v" to the "e". Since the "v" and the "e" were still attached to the cardstock, I moved the die to where I want the beginning to be attached to the "v". I die cut a large circle using Pizazz Pieces. 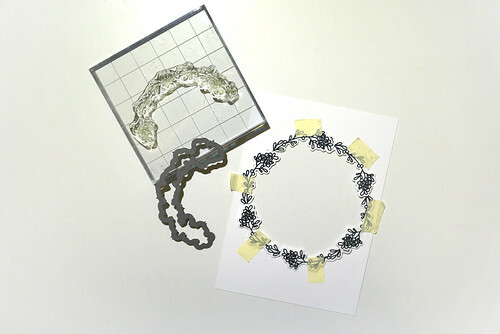 I then stamped the flower wreath 6 times, but only using half of the image. 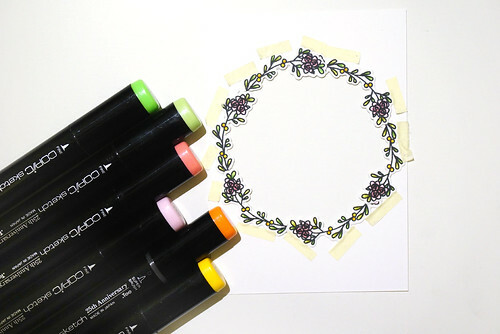 I coloured the wreath with some copics. I had to use washi tape to hold each piece in place! Here are all the pieces of the card before putting it together! 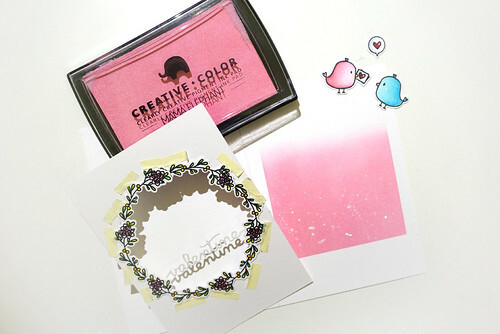 I taped the "valentine" die cut underneath the wreath window. I blended some Piggy Bank ink onto the cardstock so the sentiment die cut would stand out in white. Here is a look at the complete card! 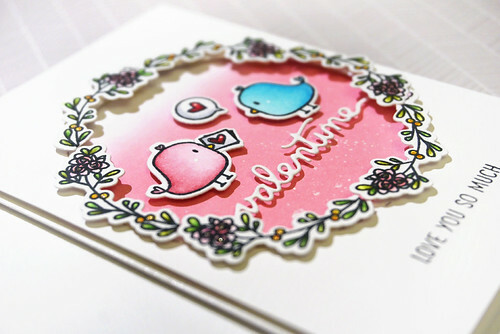 Shhh... this card is going to go to my husband on Valentine's day! so cute! Love the details! awesome job with the stamps and dies!